In order to book a hotel room for InterAXions 2019, you must be a registered conference attendee. InterAXions is Datacor’s premier annual user conference. This unique three-day educational event brings together over 300 of Datacor's customers and the ENTIRE Datacor staff to learn and share ideas with each other. It is the “must attend” event for every Chempax and eChempax user! You can also download our conference brochure! Head over to our registration page to start the online registration process. 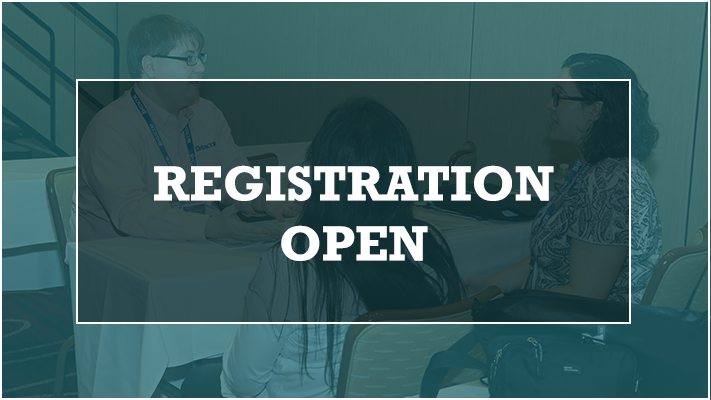 Register before February 28, 2019 (11:59 PM EST) to take advantage of our super saver early bird pricing. This is the biggest price break offered for the conference! In order to make hotel reservations, you must be a registered conference attendee. Once registered, you will be sent additional information on how to book your room. These rooms are available on a first-come, first-served basis. The closest major airport to Wyndham Hamilton Park Hotel & Conference Center is Newark Liberty International Airport (EWR). It's approximately a 45 minute ride from airport to hotel. Cancellations requested prior to March 1, 2019 will be granted a full refund, less a $50 processing fee. Cancellations requested between March 1, 2019 and April 1, 2019 will be refunded 35% of the package price. Cancellations requested between April 2, 2019 and April 30, 2019 will be refunded 20% of the package price. No refunds will be given for any cancellations received after April 30, 2019. To transfer a registration you need to email Caitlin at interaxions@datacor.com the name of the old registrant and the new registrant's name. If you transfer a registration before April 30, 2019, there is no fee. If you transfer a registration after April 30, 2019, there is a $100 transfer fee. With all that out of the way, off to the races!